The Grainger Observatory at Phillips Exeter Academy in New Hampshire is a state of the art facility for astronomical research, and is open to the public on clear Friday evenings when school is in session. The Beijing Observatory is a pretelescopic observatory in Beijing, China, and is one of the oldest observatories in the world. The tools used were built in 1442 during the Ming Dynasty. 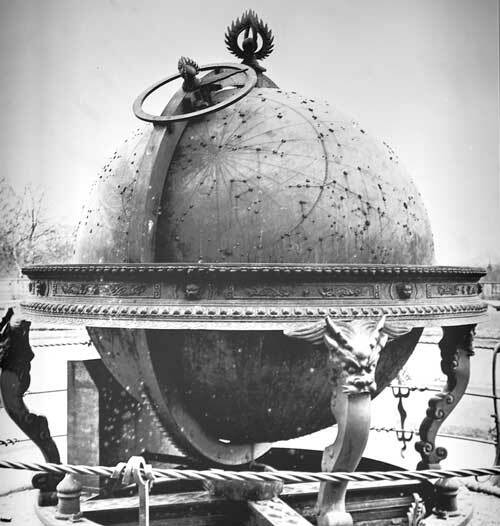 It has a number of bronze instruments, including a celestial globe. More info. 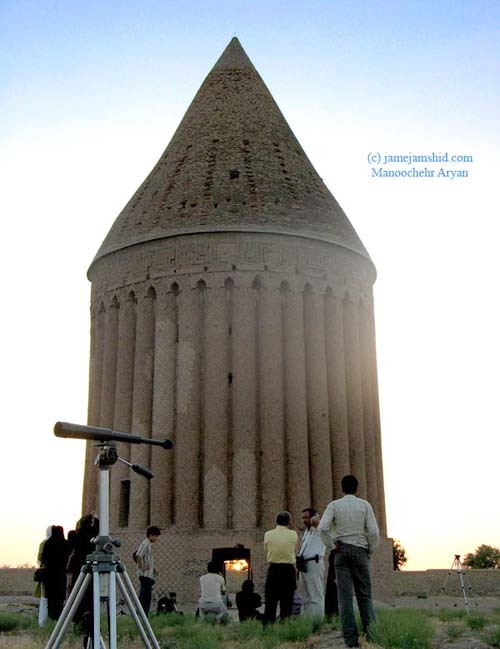 The Tower of Radkan is a solar observatory built in 1261AD by Khajeh Nasir Tusi’s group in Iran. Extensive information on how it works is available at www.jamejamshid.com. 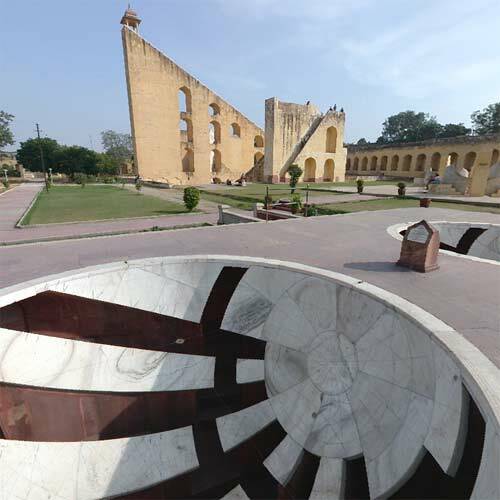 Between 1727 and 1734 Maharajah Jai Singh II of Jaipur constructed five astronomical observatories in west central India. The observatories, or “Jantar Mantars”, incorporate multiple buildings of unique form, each with a specialized function for astronomical measurement, and which are fantastic sculptures in their own right. Visit the extensive documentary project initiated by Barry Perlus at Cornell U. for excellent interactive panoramic ‘VR’ photos, time lapse sequences, 3D models, ‘spherical rendering’ photographs, and lots of other research. 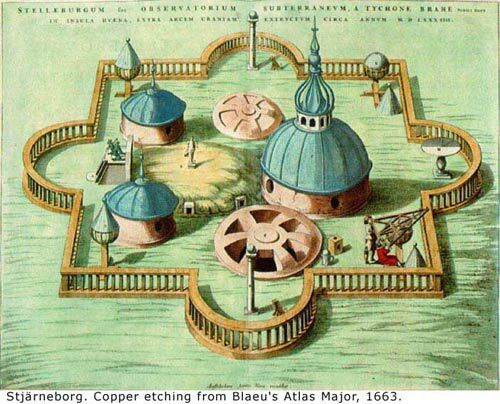 Uraniborg proved drafty, which disturbed instrument accuracy, and so Tycho Brahe designed and built a largely underground observatory next door to Uraniborg in 1584. Operated by Tycho Brahe in the late 1500s, Uraniborg was the first building ever designed with astronomical observations as its primary design criteria. The towers and balconies were to serve as instrument platforms, and the rooms in the main building were to house Tycho and his family, visiting astronomers, visiting royalty, and students. The alchemical laboratory was in the basement. The orientation of the building was chosen for maximum coverage of the sky with the instruments. 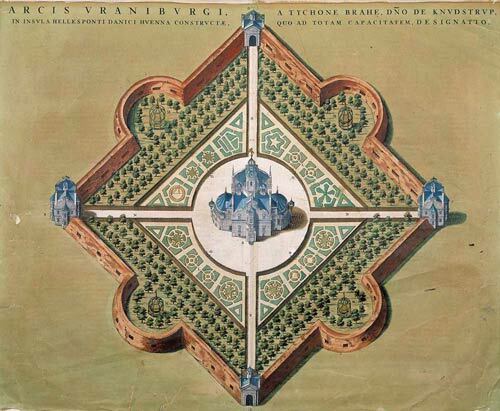 Uraniborg was located in the very middle of large walled an intricate garden–In addition to being decorative, the gardens also supplied herbs for the Tycho’s medicinal chemistry experiments. Note sundial in garden, left of castle. More info. Star Axis is an architectonic earth/star sculpture constructed with the geometry of the stars; earth-to-star alignments built to human scale–at its outside dimensions, Star Axis will be 11 stories high and 1/10th of a mile across.. The sculpture’s name refers to its primary earth/star alignment. It is precisely aligned with Earth’s axis, which now points toward our north star Polaris. The approach to developing Star Axis involves gathering a variety of star alignments occurring in different time scales and allowing them to inform the architecture. This earthwork has five main elements. 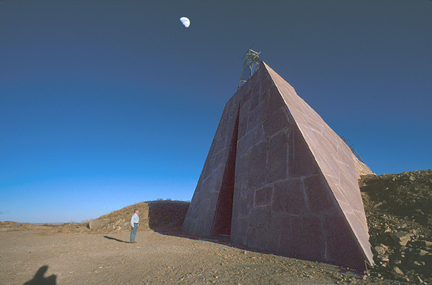 The Solar Pyramid marks the daily and seasonal movements of the sun across the Shadow Field. From inside the Hour Chamber one hour of Earth’s rotation can be viewed, and from inside the Equatorial Chamber the stars that travel directly above the equator can be observed. The Star Tunnel is precisely aligned with Earth’s axis. Here the viewer can walk through layers of celestial time, making directly visible the 26,000-year cycle of precession, Earth’s shifting alignment with the stars. Star Axis is a project by the artist Charles Ross. It was conceived in 1971 and is presently being constructed on a mesa in New Mexico.